This blog is drawn from a paper published by Jim Ritchie-Dunham & Maureen Metcalf, Co-hosting: Creating Optimal Experience for Team Interactions, Integral Leadership Review, November 2016. Jim and Maureen also recorded a Voice America Interview airing on February 14, 2017. Christopher, the CEO, walked into a planning session with the intent of getting his full team on the same page for how to move key initiatives forward for the upcoming year. His leaders were all in alignment on the core purpose of the organization and how to accomplish it. During the discussion, everyone gave unbiased input intended to move the organization forward irrespective of personal interest. Christopher was highly skilled at understanding the point of view of all participants and synthesizing the various points of view of his trusted leaders to create solutions everyone could support. Does this scenario describe your normal business meetings? How is it different? We would like to explore the idea that groups can leverage the skills of individuals across five key perspectives and create an environment in which each participant operates at his greatest level of contribution. We call this the alchemy of co-hosting, whereby the co-host, in conjunction with the participants, invokes a very different mindset and process for the team to function. 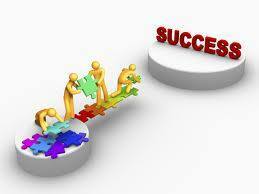 Much of our work is done within teams comprised of many highly effective and highly compensated people. We have found that these teams often function at the level of the least common denominator. Many people, especially leaders, move from meeting to meeting all day, every day. They often do this with little awareness of the specific role they play in the meeting and the value they bring. This is the culture of many organizations. When asking a cohort of vibrancy community members what they experienced in these teams, they suggested that while the participants were generally strong employees with good skills, they were often disengaged and some actively disrupted the work or found ways to interfere with the meeting goals. In some cases, the participants did this as passive aggressive response, and in some worse cases, did it just for personal entertainment. So, what is the antidote to this high level of disengagement considering five key factors other than the highest rank present? How do we capture the highest level of input from each person to create a higher level “field” of operation than any individual would have access to by working alone? We look at five different perspectives or measures of intelligence, then explore how the art of co-hosting can leverage all five intelligences of the participants to create an environment that calls forth the greatest possible capacity in the group. It is interesting to note that each of these perspectives is important for an organization to create holistic solutions to the many complex challenges they face. For that reason, it is important to recognize each of these perspectives and be able to identify, recruit, and create environments that genuinely leverage the gifts of each. By integrating the five perspectives individually, an effective co-host can create the “container” or space to leverage each to the participants’ greatest potential rather than the traditional lowest common denominator. During this era of increased complexity and accelerated need for change, it is imperative that we identify methods and processes to help us navigate the challenges we face. Optimally, these methods and processes would create the greatest impact for all involved—creating an optimal experience for the individuals and a holistic solution for the organizations or groups involved. We believe that the solution integrates a solid process that integrates five key perspectives and a presence of being within the co-host to create the desired outcome. Both elements are critical. We have an opportunity to enhance the experience and the impact we have in trying to solve problems. By building the capacity to co-host and using this process, we increase the probability of solving our most complex problems and enjoying the process. Knowing that this is possible helps us regain hope that we as a society can resolve the mounting list of intractable problems we hear of every day on the news. Jim Ritchie-Dunham is president of the Institute for Strategic Clarity, a global research nonprofit, president of Vibrancy Ins., LLC, a global consultancy and publisher, president of the private operating foundation the Academy for Self-Discovery Leadership, an adjunct faculty member in Harvard’s program in sustainability leadership, and Adjunct Professor of Business Economics in the ITAM Business School in Mexico City. Jim authored Ecosynomics: The Science of Abundance (2014), co-authored Managing from Clarity: Identifying, Aligning and Leveraging Strategic Resources (2001), has written many articles on systemic strategy for academic and practitioner journals, and blogs regularly at jlrd.me. As a student of human agreements, Jim Ritchie-Dunham brings over 25 years of research and insights gleaned from working with groups of all make-ups. Jim named Ecosynomics, the emerging social science of the agreements that guide human interactions. Ecosynomics provides a framework rooted in economics and the sciences of human agreements that begins with an initial assumption of abundance, not scarcity, and a wider view of the human being. 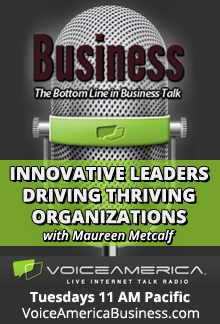 Maureen Metcalf, CEO and Founder of Metcalf & Associates, is a renowned executive advisor, author, speaker, and coach, whose 30 years of business experience provides high-impact, practical solutions that support her clients’ leadership development and organizational transformations. Maureen is recognized as an innovative, principled thought leader who combines intellectual rigor and discipline with an ability to translate theory into practice. Her operational skills are coupled with a strategic ability to analyze, develop, and implement successful strategies for profitability, growth, and sustainability. Blog post written by Rob Harman , II CPA, MBA, PHR, SHRM-CP. You have just received an email from your Human Resources Department advising you it is time to begin the annual performance review process. Do you react by thinking, great, I have an opportunity to showcase the great work I’ve done and provide meaningful feedback to others? Or do you suddenly feel the 12 week job assignment overseas is looking like a real opportunity? I think most of us will agree the performance management process is something that can be improved upon at most organizations. It is often a once or twice a year task that is required by the company in order to assess performance, determine promotions, discipline, or terminate employees who are not performing at a level that is expected. While having the greatest intentions, many organizations come up with sophisticated competencies that are often very long, cumbersome, and complicated at best. The performance management process then becomes a necessary evil. Since most of us are being asked to do more with less, performance management becomes a low priority because the business of doing business always comes first. Often then, the performance management process becomes an annual exercise of trying to remember what you did for the year, what your team did, how well it was done, and what you can say about it in enough words to satisfy the owners of the process, while getting it done quickly enough to move on to your other tasks. The sad part is that performance management is very much about running the business and meeting client needs, both internal and external. What is needed in today’s workplace is an efficient, effective, easy to use, continual performance management system that is transparent. Everyone needs to be trained on how to give effective feedback, and how to receive it. This should be an ongoing refrain! EVERYONE needs to be trained to give and receive feedback! Repeat – EVERYONE needs to use the training they received to give and receive feedback. Think of how many people you know who are ineffective at giving and receiving feedback and either are too busy to get better or think they are already good enough. The changes we recommend ONLY work if leaders and managers are GOOD at giving and receiving feedback! With those criteria met, the performance management process will become a much easier task, one that is continual throughout the year, will deliver feedback, and will help set goals to help employees and the business. In the following sections are five things to consider when building a successful performance management process and system. Use, design, measurement, output and competencies. We will cover use this week and the following four next week. How will you use the system and what is your goal for the system? 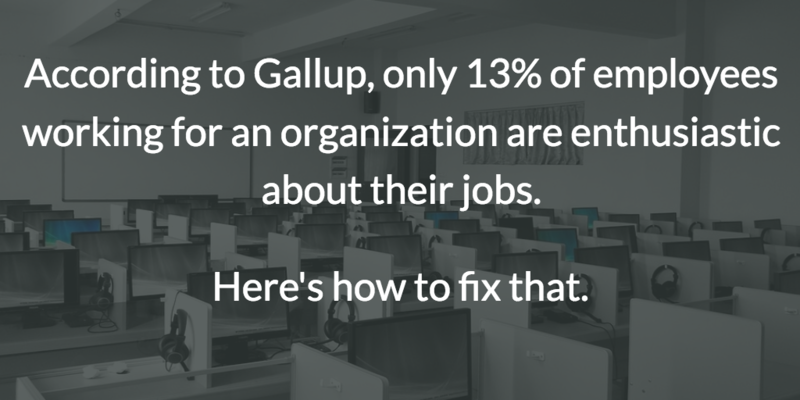 What organization and talent objectives are you trying to meet? Common uses are compensation decisions, promotion decisions, training, and what I’ll call leveling. Leveling can mean holding someone in their current position for a period of time, providing them with additional training, or finding other opportunities for them in the organization if their current position isn’t the right fit. Ultimately, it can mean counseling someone out of the organization. As a side note, when making compensation decisions based on performance, many organizations are considering unlinking the direct connection between compensation decisions and the overall rating. Compensation decisions can still be made by performance, but other factors such as job position, job skills, market conditions, and contributions to the organization can be the main drivers1. This allows for more direct and honest feedback, and ultimately improving employee engagement and performance by honest coaching. In part two, I will talk about what your intended use of the system should be, what to measure and how, as numeric ratings are falling out of style. We will also touch on competencies and how those are built into the system. If you are interested in receiving our ongoing blog series or other articles by email, please sign up in the box on the right labeled Get Email Updates From Us. Nicholas Carr wrapped up the Wednesday afternoon session at the TechColumbus Tech Tomorrow Conference. Nicholas Carr writes about technology, culture, and economics. Nicholas authored The Big Switch (2008) and Does IT Matter? (2004). His writings – including columns for many periodicals such as The Wall Street Journal, The New York Times and The Financial Times – have challenged mainstream thinking. 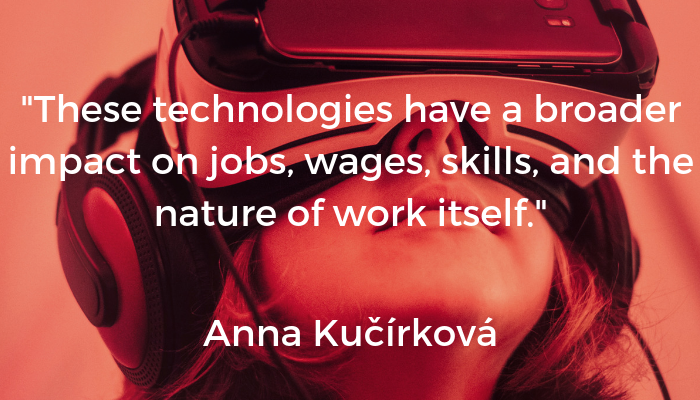 At the TechTomorrow Conference, he reflected on the impact – positive and negative – of technology on our businesses and in our lives, and will look to the possibilities of the future. Nicholas indicated that we are on the precipice of a major disruptive change in technology. When the internet took hold it changed how people related to technology. Cloud computing will do the same. 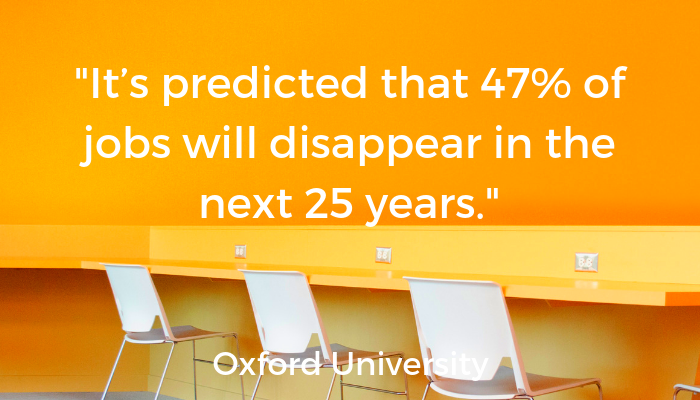 What does this mean for your organization? For your job? As you read this post – you may want to think about how this change could impact you in the next 5-10 years and for some people, much sooner. Nicholas compared cloud computing to companies generating power in the late 1800’s and early 1900’s. Because centralized energy generation and transmission had not yet been developed, companies had to create their own. Once power companies were able to reliably generate power at a lower cost, companies “outsourced” their internal power production to the local power company. It is likely we will see a similar transition with cloud computing. I work with one IT company, Haladon Technologies, Inc., that advises their clients to move to the cloud rather than investing in the purchase of new servers. This means a monthly fee rather than large capital expenditure. This monthly fee also means the maintenance of the serves is done off site so the company not only saves in hardware cost but also labor costs. For many companies this is a significant cost. The early transition is often companies deciding to move to the cloud for additional hardware needs while maintaining their existing hardware in house so it can be a dual pronged approach. This makes sense on many levels because it allows the company to pilot the new approach and minimize risk. What does this mean for the CIO? With much of the current technology maintenance activities shifted to the cloud, the CIO and IT staff will be focused on more strategic functions critical to business operations. The lines between IT and the business will blur as IT people become more focused on delivering business value. The IT jobs within companies will change – more business analysis and less system maintenance. Many jobs traditionally performed within companies will now be performed in “the cloud” and the staffing models will likely be different. What does this mean for the business? New opportunities to leverage IT in innovative ways to connect with customers (think mobile apps). There are still issues to be addressed before many companies will feel comfortable putting secure data on an external server. The industry will need to address security and standards to mention a few. It sounds like while some cloud providers are consistently delivering high quality services safely and consistently, like Amazon, others are not. Just like with the electricity metaphor, the rate of adoption will track with the rate of progress within the providers of “cloud” services and also economic pressure. There were five models for adoption – suggesting that this decision is far from an all or nothing proposition. 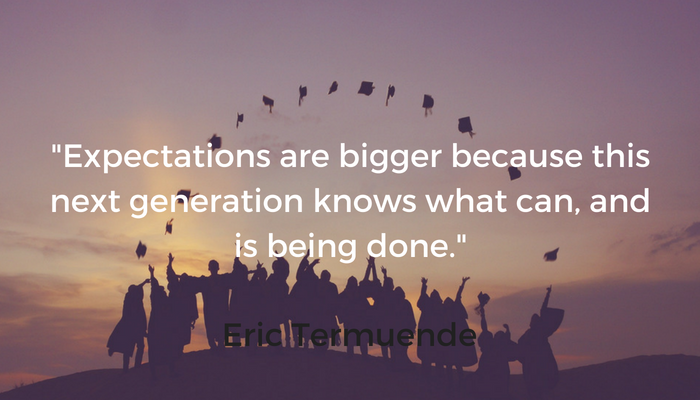 Those options range from gradual adoption, using the cloud as a supplement to full transition. One of my clients built an internal cloud and immediately realized significant performance improvements. Additionally, they had a system outage and because of the architecture of this new system they were back up and performing 2 hours compared to 4 days for prior outages. Continued dependence on sustaining technology will become a strategic disadvantage at some point in time! So, if we are facing a disruptive change in how cloud computing impacts businesses and the work people do within companies then what should proactive IT leaders be doing? Understand new challenges and necessary skills. Build your skills and your organization. Stay positive and focused, any disruptive change can take a strong emotional toll on the people impacted. Communicate with the people who will be impacted and help them transition into appropriate roles to minimize the human cost. Do this early and often! This change promises to have a significant impact on the landscape of IT, the role it plays in the business and how it is delivered. To learn more about the Central Ohio current skills gap and projected IT employment picture over the next five years, TechColumbus in Conjunction with Columbus State, Wright State and The Ohio Skills Bank released a report on the Skills Gap on Central Ohio IT Talent in October 2011. This report did take into account the impact of cloud computing on the workforce. If you are an IT professional, how will these changes impact you personally? How do you want to participate in the change and how your role can help you succeed professionally? 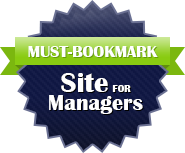 To subscribe to this blog, please enter your email address in the box on the right side of this page. Are you considering improving your ability to be an innovative leader? If so, take this free on-line Innovative Leadership assessment to determine where you fall on the innovative leadership scale. If you are looking for tools to help develop you ability to be an innovative leader, check out the Innovative Leadership Fieldbook. Metcalf & Associates offers assessments, coaching and workshops to help you and your leadership team become more innovative. What are we doing to address Central Ohio IT Workforce Shortage? Following is a guest post from Bill LaFayette of Regionomics LLC. Regrionomics collaborated with TechColumbus and Metcalf & Associates on a report examining skills gaps in the Central Ohio Regional information technology workforce. The overarching theme is that the speed of technological and business change is creating serious challenges for companies trying to match the skills of available job applicants with their business needs. 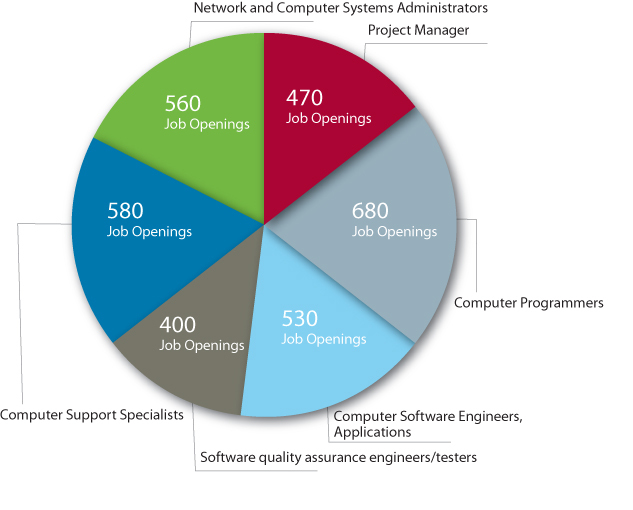 Because many of these jobs are outside IT companies, this problem affects companies throughout the economy. To address the problem, we need to forge closer linkages between business and education to ensure that training programs are relevant to current and projected needs, increase collaboration between business and contracting companies that supply their talent, grow and develop new talent within the region, and actively recruit from other regions. See the report for full details on recommended implementation plan. The workforce analysis Bill undertook in support of this project is only excerpted in this report. He am planning to share my more detailed analysis here soon. https://www.innovativeleadershipinstitute.com/wp-content/uploads/2018/10/logo.png 0 0 Dee https://www.innovativeleadershipinstitute.com/wp-content/uploads/2018/10/logo.png Dee2011-10-17 20:08:402015-05-28 15:05:52What are we doing to address Central Ohio IT Workforce Shortage?